The longridge Pin Point Laser Ranger Finder is an advanced laser range finder system that rapidly provides an accurately measured distance out to 600m. With it's unique optical properties the Range Finder provies sharp clear images under all conditions and can be used as a high quality spotting monocular. The range finder is adapted with the latest digital circuit design and optical system that is superior to other models in lens quality and reliability. Not only is the Longridge Pin Point Laser Range Finder ideal in summer conditions, it has a rain feature that compensates for precipitation to gurantee an accurate distance measurement through rain or snow, making this range finder perfect during all seasons. An added feature is the reflector which increases the maximum measurement range for most highly reflective objects. 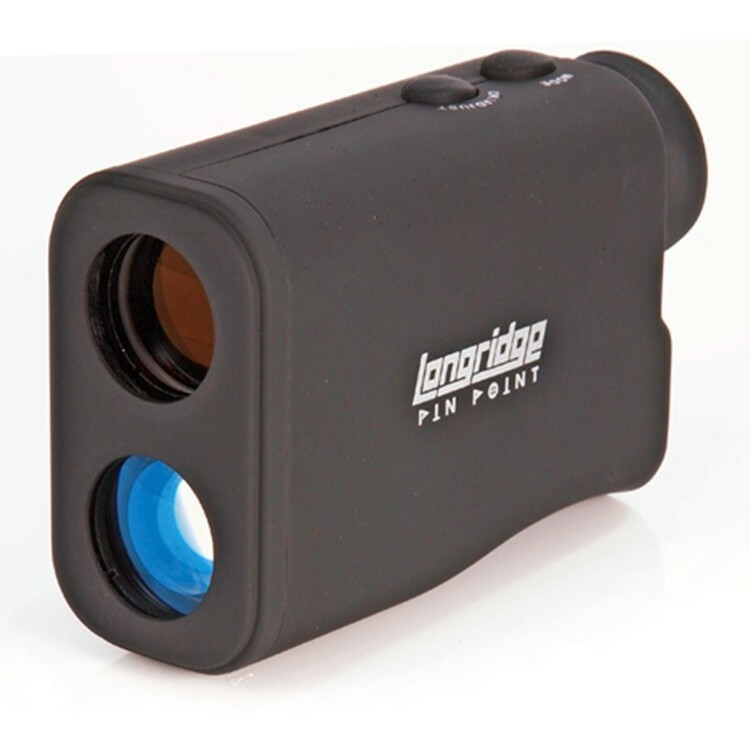 If you're the golfer who struggles calculating distances, then the Longridge Pin Point Laser Range Finder is the aid you need to improve your game. © 2016 - 2019 Powerhouse Golf. All right reserved.